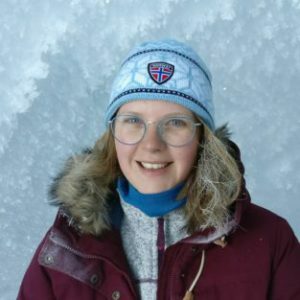 A new blog from ISOL-ICE project team member Lisa Hauge, who describes recent progress in the lab.  Read the team’s earlier blog here. 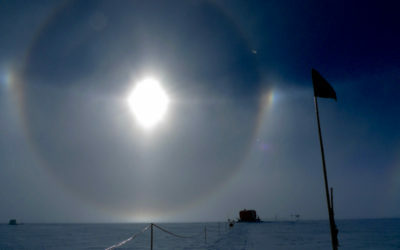 During the last 3 months the ISOL-ICE project has made significant head way in the analysis of a 120 meter long ice core to investigate the ozone layer above Antarctica in the past by means of a new UV proxy: stable isotopes of nitrate (NO3–). The work includes measuring the nitrate content in the ice and cutting samples for measuring stable isotope ratios of N and O in the nitrate ions. From February to May the ISOL ICE team were busy melting and analysing the core drilled in Dronning Maud Land (DML), Antarctic with the Continuous Flow Analysis (CFA) system at BAS. The core is melted in smaller pieces called a “stick” and measures approximately 3.2 x 3.2 x 80 cm, which in turn is melted vertically on a heated melt head in our -25 ºC working freezer and analysed continuously in the warm lab next door. 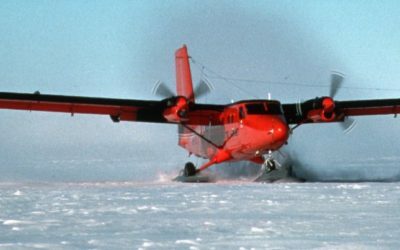 In addition to measuring nitrate in the ice core, the melt water was analysed for various other chemical compounds, dust content and conductivity. 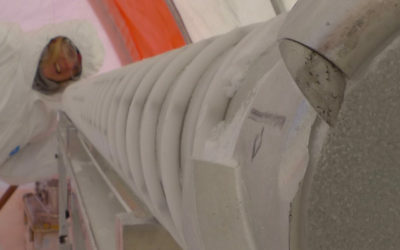 This process includes long working hours and for the most part the ISOL ICE team worked in shifts to analyse as many sections of the ice core per day as possible. During the campaign, several instruments were running simultaneously: the CFA line for chemical impurities, an Inductively Coupled Plasma Mass Spectrometer (ICPMS) for measuring the content of trace elements, such as sodium and magnesium, and a Fast Ion Chromatograph (FIC) for detecting volcanic horizons using sulphate, and other anions. You have to be very attentive controlling all instruments at once. Markus Frey watching the CFA instruments during the melting of the DML core. The controller must keep an eye on all four screens as well as check the flow and readings from the instruments. 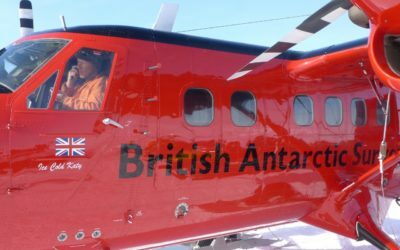 The results from the CFA campaign were used to determine an age-depth scale of the ice core to allow the team to sample specific periods of interest, for example volcanic horizons. The remaining section of the ice core was cut into discrete pieces that will be analysed for stable isotopes of nitrate: Δ17Oand δ15N. It is very important to know the nitrate content in these discrete samples as the method for measuring the stable isotopes depends on the concentration of nitrate. 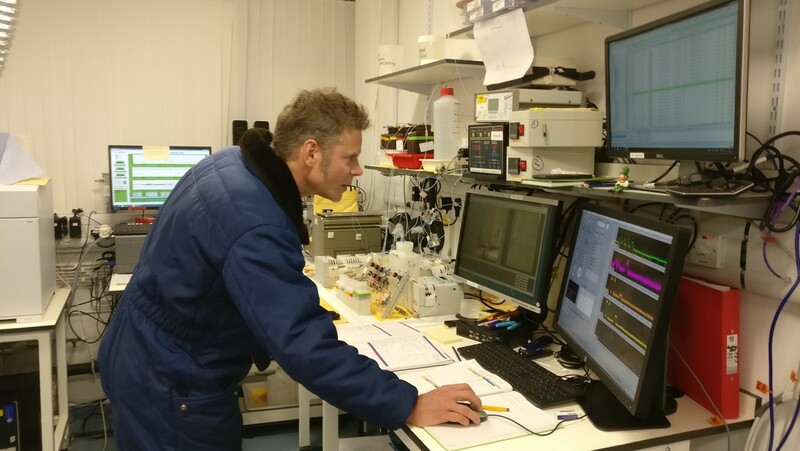 The isotope analysis wll be carried out at L’Institut des Géosciences de l’Environnement(IGE) in Grenoble, France in the lab of ISOL-ICEproject partner Joel Savarino. Read more about our trip to their lab in November 2017 here. The cutting process took place throughout June and included logging core and cutting the core into discrete pieces. The core was cut with a cross-band saw as per the markings from the logger. 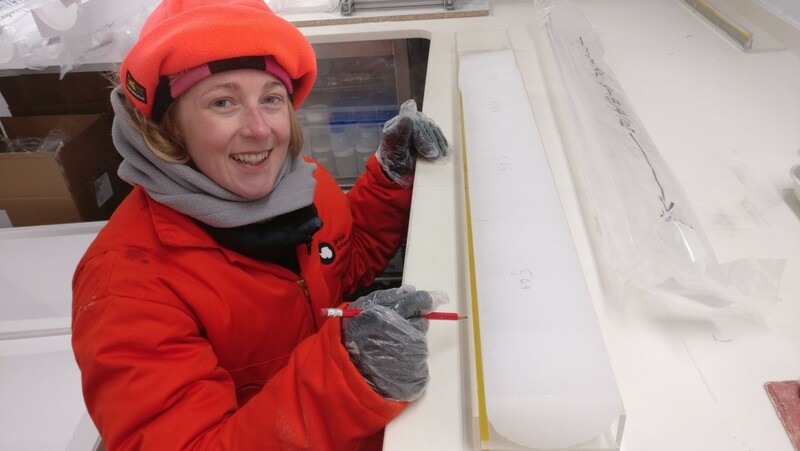 Holly Winton logging the exact length and diameter of the ice core. She marks and numbers the individual pieces of the cores which are then being cut with the cross-band saw. 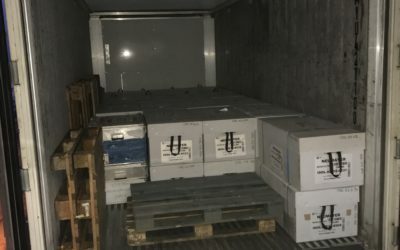 Each piece was subsequently put into layflat bags for storage until the next part of the analysis process: decontamination and pre-concentration of each discrete sample. 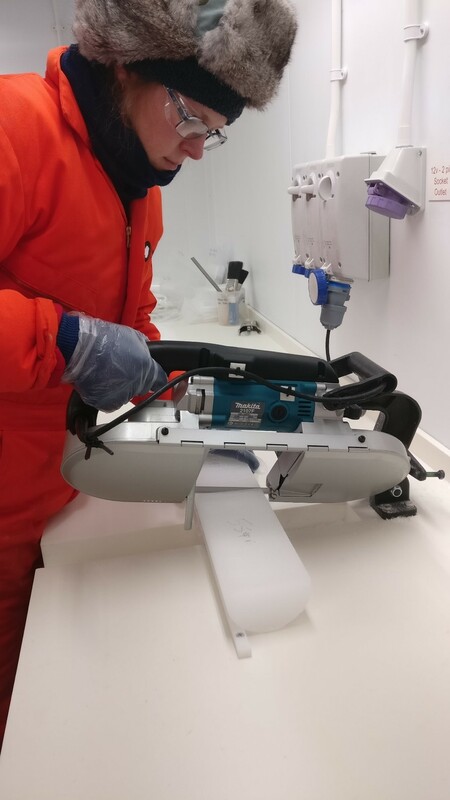 Lisa Hauge with the cross-band saw cutting the ice core into discrete pieces, which are then placed into pre-labeled layflat bags for later decontamination.